Baked Alaska always makes me think of my high school Home Ec class. An old school dessert, but still so impressive to serve. There are a few steps in making it–but easy steps. 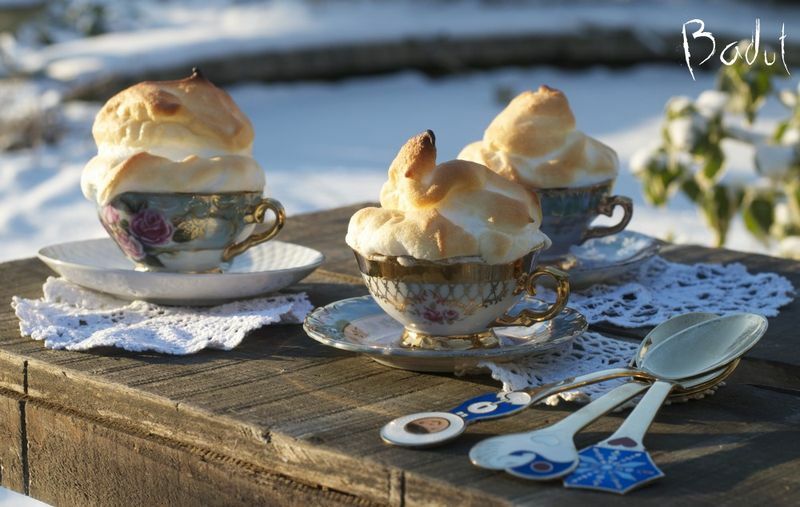 These Baked Alaska minis in tea cups look so regal and delicious! An unexpected way to end a tea party?? Check out the recipe and original post here at Badut.